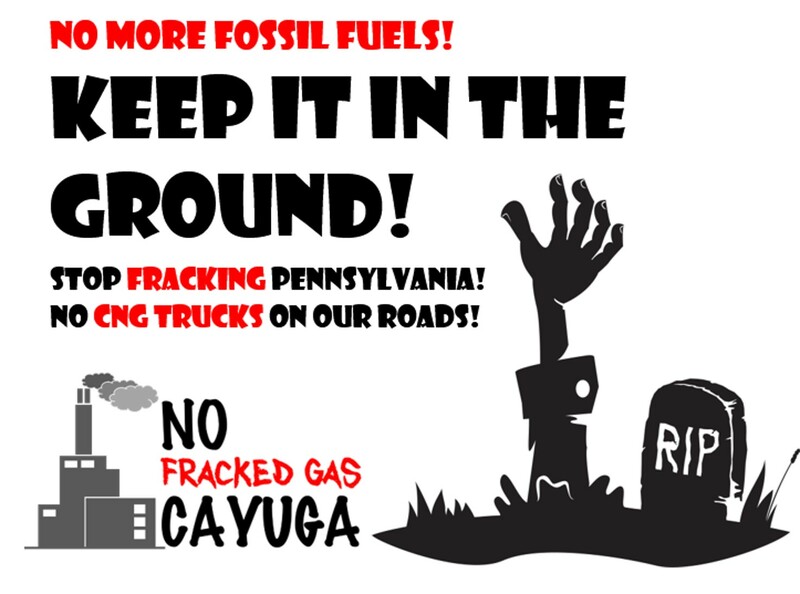 You may receive updates from No Fracked Gas Cayuga, the sponsor of this letter campaign. The October report by the United Nation’s Intergovernmental Panel on Climate Change foretells a real-life horror story. The world has just 12 short years left to reduce greenhouse gas emissions by at least 40 percent. If we don’t, the results are beyond scary: food and water shortages, droughts, floods, wildfires, rising seas, and more frequent and powerful hurricanes. As wide swaths of the earth become uninhabitable, social conflict and refugee crises will deepen. Countless lives will be lost. Tell Governor Cuomo our future need not become this haunting tale. If we stop exhuming oil, gas and coal from their prehistoric graveyards, we can still avoid the most terrifying outcomes. We call on him to deny the craggy, old Cayuga Power Plant’s application to burn fracked gas. Do not let them swarm our community with gas-filled trucks. Ask the Governor to strengthen support for solar panels, wind turbines and battery storage to end the onslaught of fossil-fuel zombies.